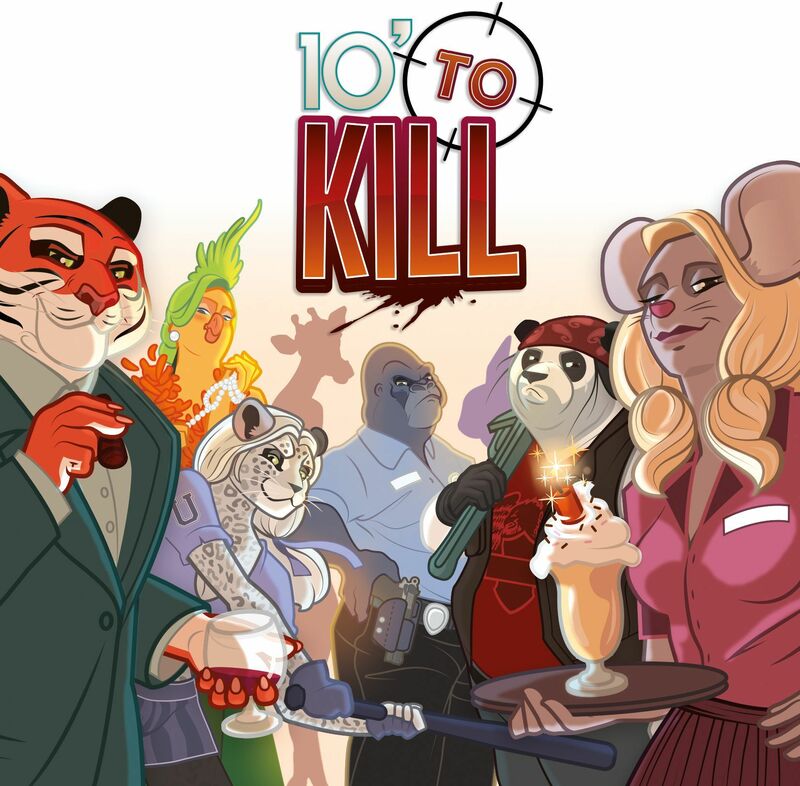 10' to kill is a deduction game, for 2 to 4 players, played in 10 minutes or so. There are 16 characters on the board, and each player secretly embodies one of them.. Each player also has 3 secret targets he must eliminate, without being discovered. The players have two actions each turn, (choosing from the following) : move any character anywhere on the board, eliminate a character (different ways of doing it), make an identity check by the police. The trick is, when a character is eliminated, nobody says by who or how ! You must apply yourself in blending your true hitman in a crowd of possible suspects, or guess which character is the hitman of the other players. As time goes by in 10' to kill, you will feel pressure and suspicion weight on your shoulders. 10 minutes is a short time, but it can sometimes be very long when all eyes are on you! You'll have to bluff and use discretion to eliminate your targets ... and maybe the competitors hitmans!